Clarify 2Additional ResourcesFAQs ArticlesHow do I enter the coupon code? Every once in a while, Clarify has a sale that requires a coupon code. Here is how to apply that coupon code. 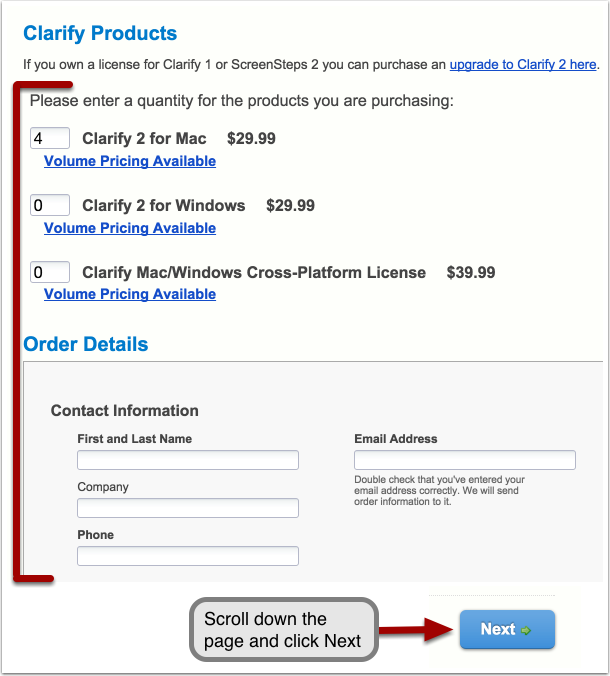 Go to clarify-it.com and click on Store. After you fill out fill out the order details, scroll down the page and click Next. Prev: Does Clarify 2 export to Confluence, MindTouch or Zendesk?